Let’s be honest, football Twitter can be a pretty nasty place sometimes. No matter who you follow, chances are you’ll stumble across something sexist, racist or just downright frustrating in relation to football. 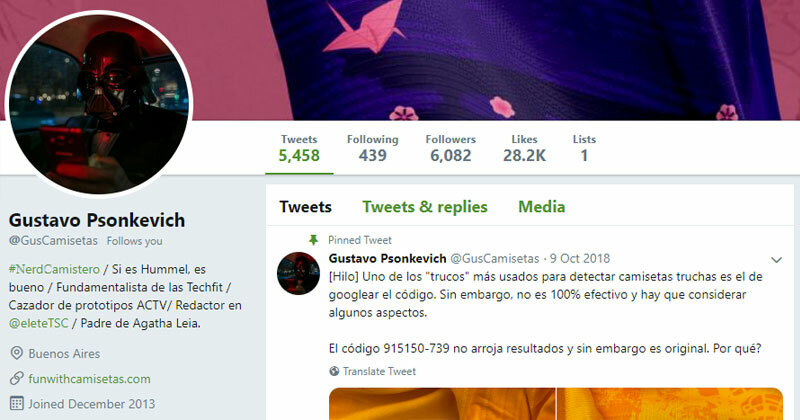 What’s more, many accounts (in their hunger for high engagement metrics), only serve to add fuel to the fire with misleading, click-bait heavy headlines that worsen the experience for everyone involved. 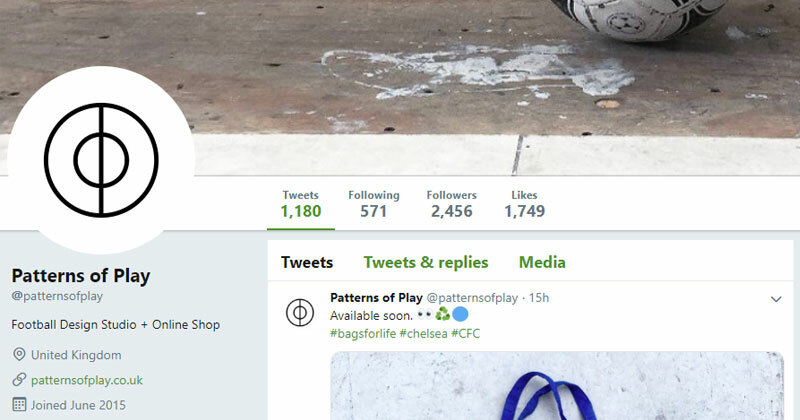 With all this negativity, it’s easy to forget that there are actually many people championing the true spirit of the beautiful game in all its forms. 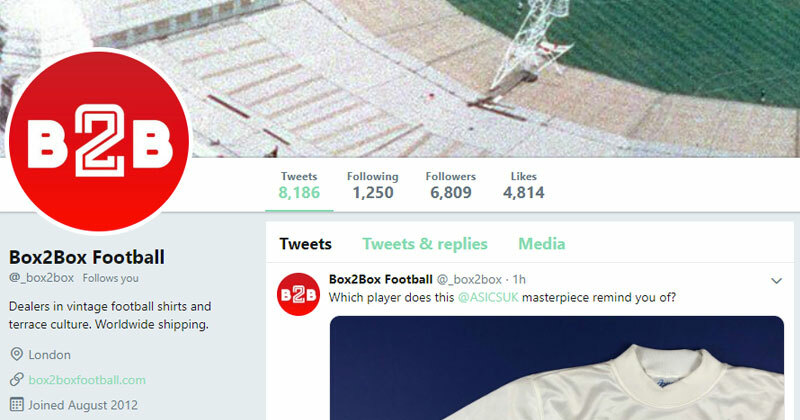 From huge accounts to humble individuals, if you look hard enough you can discover some real diamonds amongst the football Twitter rough. 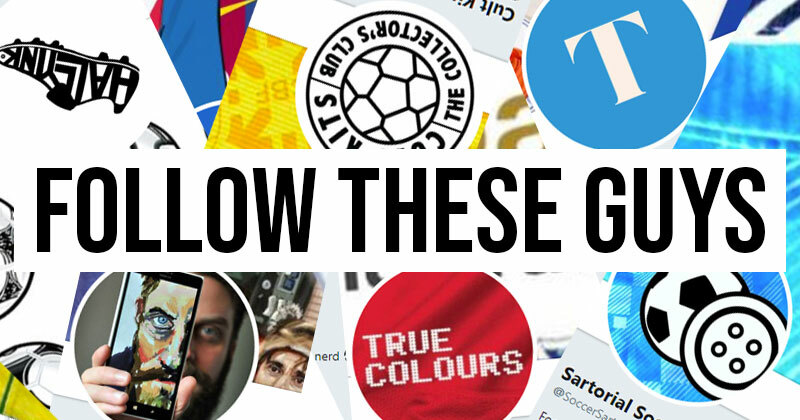 I’ve picked out 26 personal favourites which perhaps unsurprisingly lean heavily towards football shirts. If there’s anyone else who you think should be on this list (including yourself!) please share the love and let me know on Twitter. 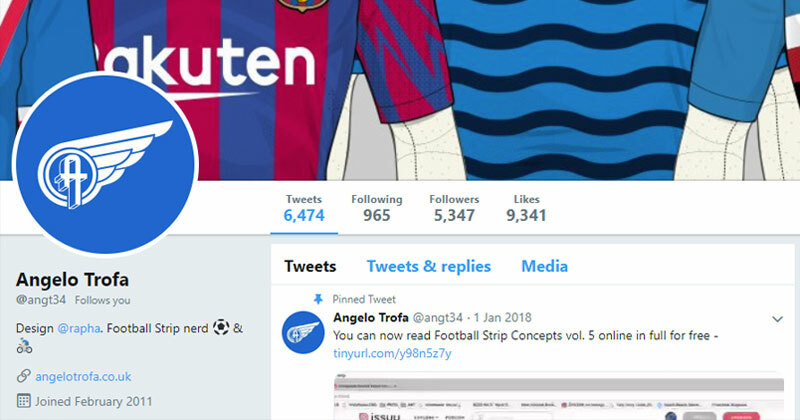 Angelo is practically the godfather of football shirt concept design, with one of the most extensive portfolios in the game. I particularly like how he weaves elements of cycling (a passion and profession of his) into many of the shirts he creates. If you want to see shirts that won’t just push the boundaries but completely blow the bloody doors off, follow FOKOHAELA. Their kits are anything but your typical concept designs. South America is full of budding designers whose work you really need to see. A personal favourite of mine is Gustavo Psonkevich, who is an expert at incorporating inspirational elements into a shirt. Another concept designer whose content I’ve enjoyed in recent months is @kifthgraphics. 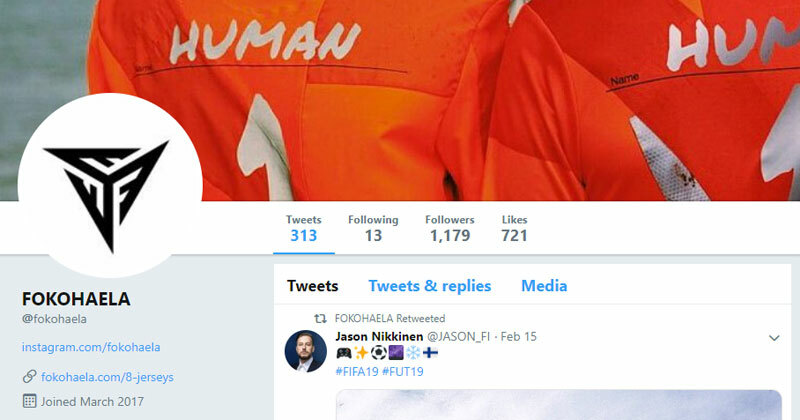 Football design twitter is packed with superstars, and Phil is one such superstar. 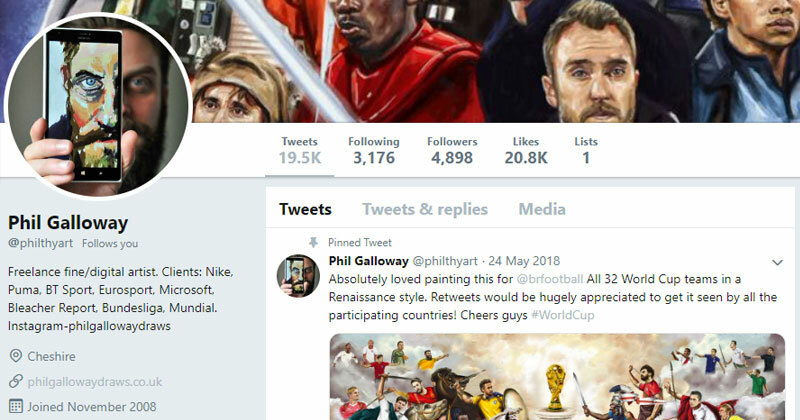 His iconic, renaissance inspired art has adorned the covers of mags like Mundial and These Football Times, and his World Cup commission for Bleacher Report was one of the pictures of 2018. 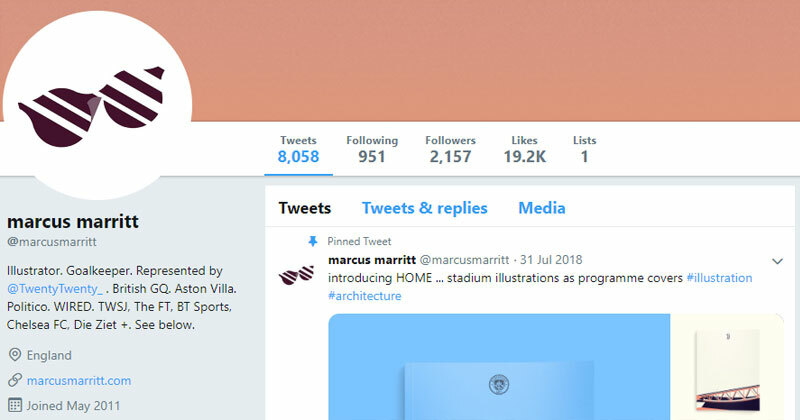 HOME, a recent series from Marcus which explores football stadiums in his own distinct style, is easily one of my favourite collections of football art going. 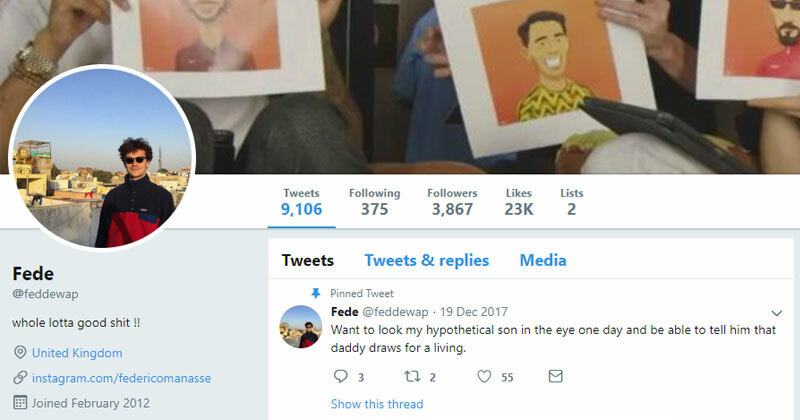 Federico Manasse has been absolutely killing it on the illustration front recently, showcasing his talent with COPA90 as an artist in residence. 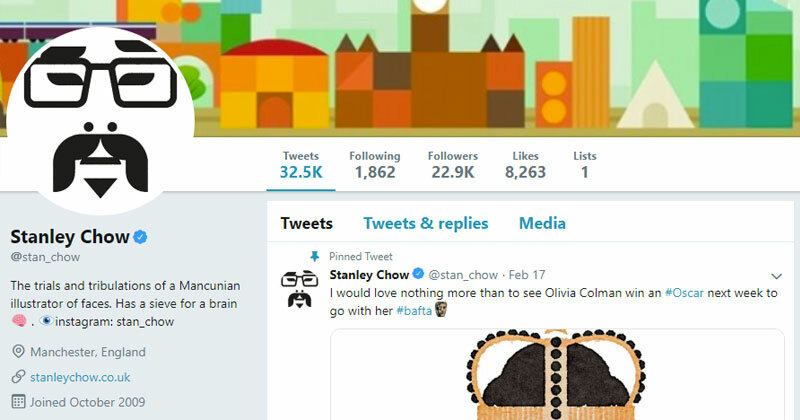 Another absolute legend when it comes to illustration, Stan Chow’s distinctive style transcends football into all areas of life. 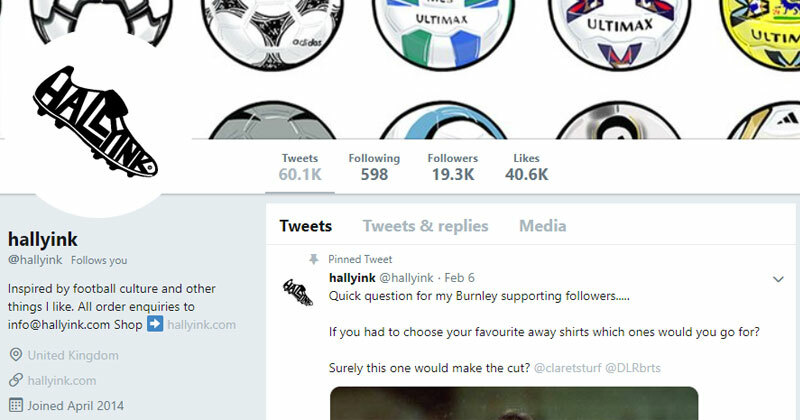 As a shirt geek, hallyink’s regular dose of lovingly crafted kit-inspired designs are a joy to behold. Be it t-shirts, posters or coasters, hallyink has got you covered. 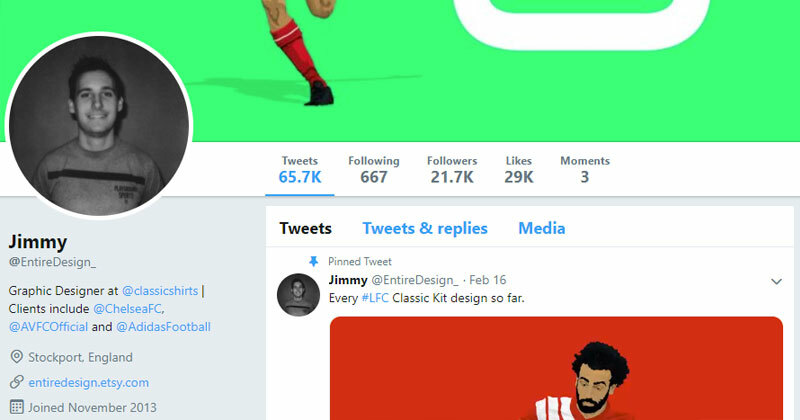 Jimmy has enjoyed a meteoric rise in the design world, and his illustrations featuring current players in retro kits are some of the most recognisable on Twitter. 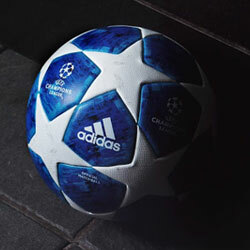 The design studio Patterns of Play showcase absolutely gorgeous photography and design from across football. 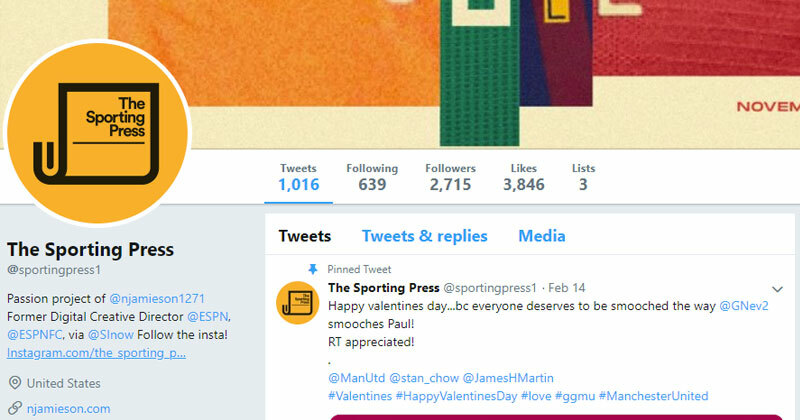 The Sporting Press, a project from former ESPN Digital Creative Director Neil Jamieson, is full of football design goodness. What’s more Neil is a great champion of other creatives. Football mags are experiencing something of a revival, and These Football Times are playing a big part in it. Their stunning publications are some of the best in the business, and I also find myself regularly reading their online articles during my commute. 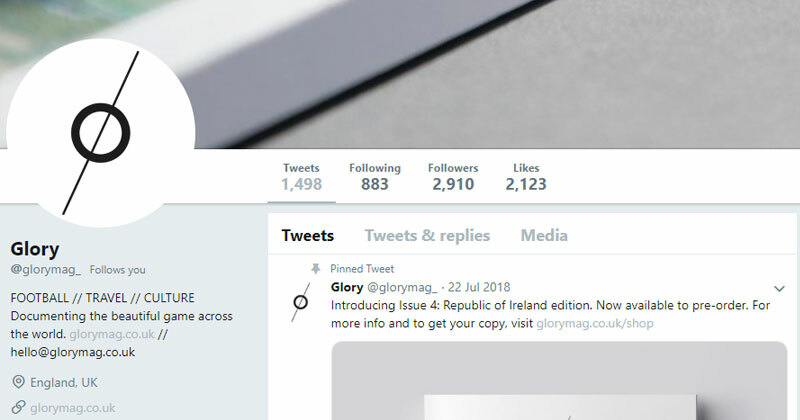 If you love football, photography and travel, all three are combined to perfection in Glory magazine. The perfect source of inspiration. 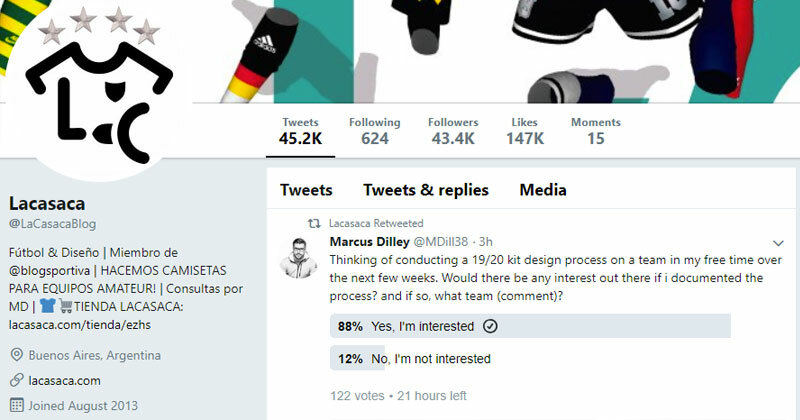 Want to get inside the mind of the guy who designed recent kits for the likes of LA Galaxy, Bayern Munich and Flamengo? 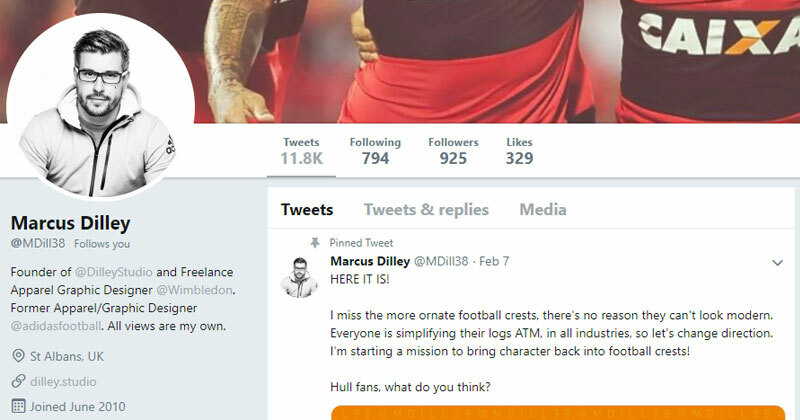 Marcus Dilley, (who now runs his own studio after multiple years with adidas) is a superb source of industry-level analysis when it comes to shirts. 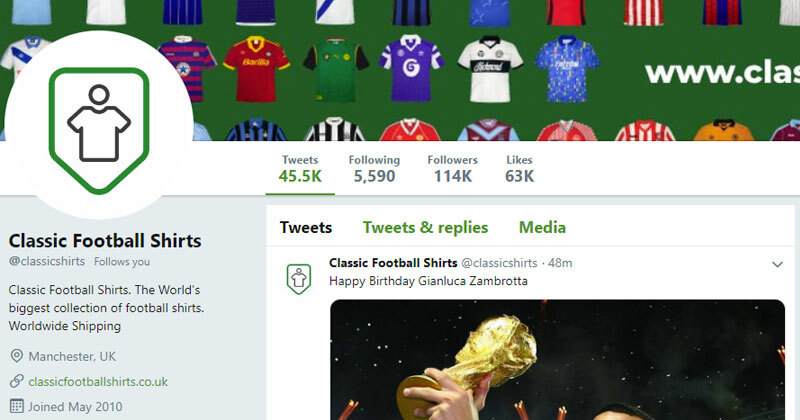 I don’t need to tell you about Classic Football Shirts, do I? 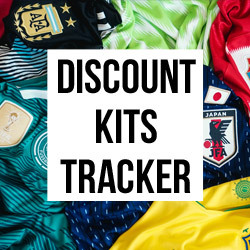 Their constant stream of glorious kits is exactly what everyone’s timeline needs. I’ve also enjoyed their recent “What I Wore” collaboration with BT Sport. 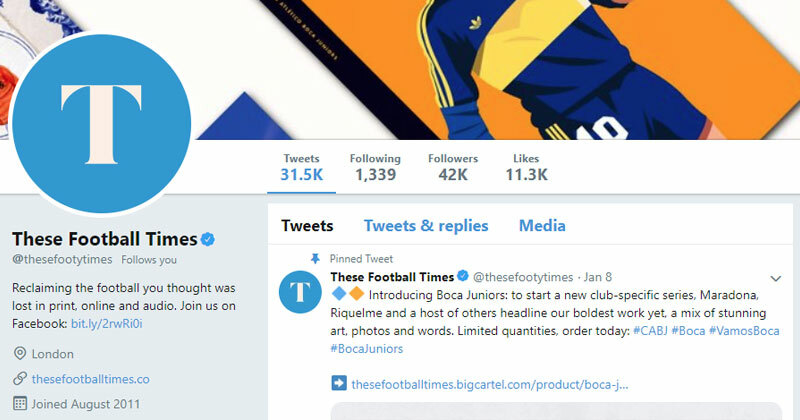 Jumping back to South America, Lacasaca are a superb destination for the latest expert opinions across the football shirt landscape. 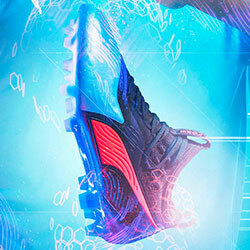 You’ll also enjoy regular concept design gems. 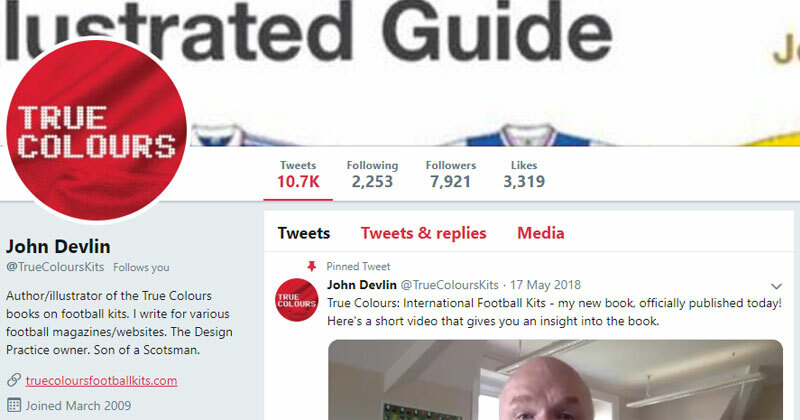 John Devlin quite literally wrote the book on football shirts, and the significance of his True Colours series cannot be overstated. John’s illustrations are well worth enjoying again and again. 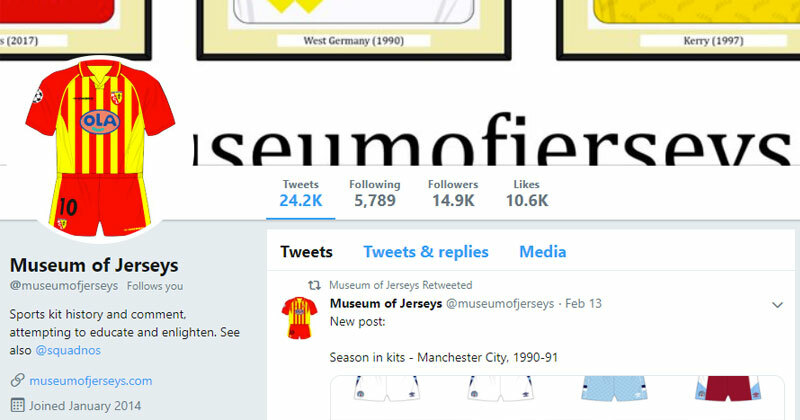 Another key commentator and illustrator in the football shirt world, if you want to raise your knowledge and enjoyment of football shirts you have to follow Museum of Jerseys. 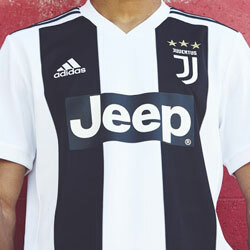 Come for beautiful pictures of football shirts, and stay for beautiful pictures of football shirts. 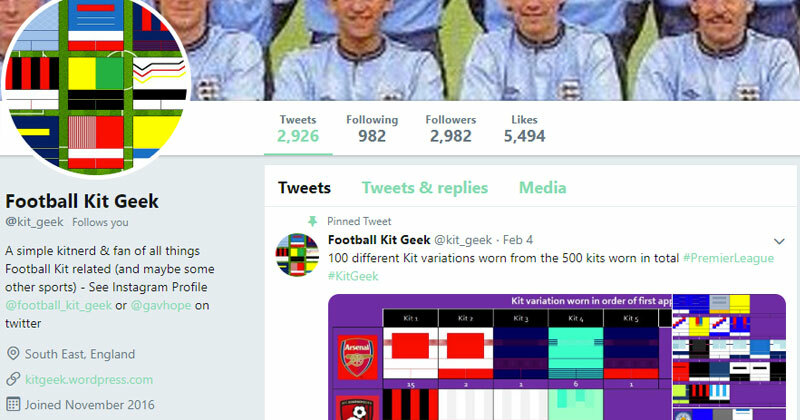 Amongst plenty of football shirt goodness, I’ve appreciated the effort that goes into Football Kit Geek’s Premier League kit log, which documents every shirt, shorts and socks combo for every Premier League match this season. Oh yes. 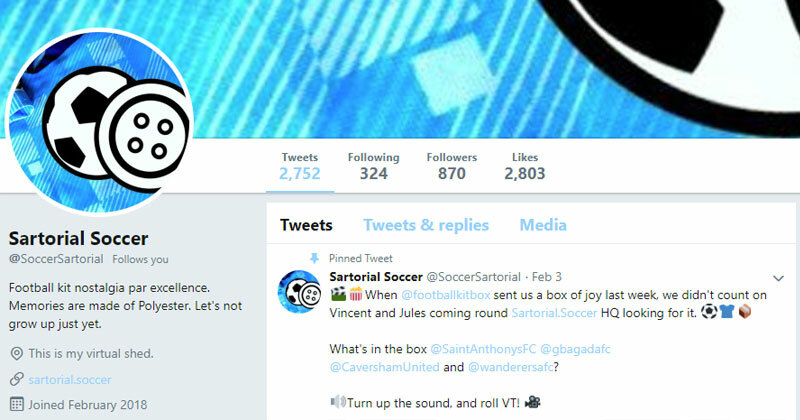 For more retro and contemporary commentary on all things shirts, follow Sartorial Soccer. 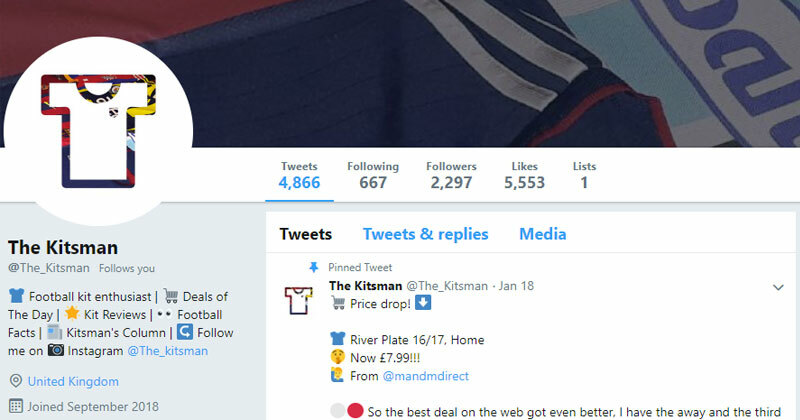 Deals of the day, kit reviews, football facts… it’s all here at The Kitsman. 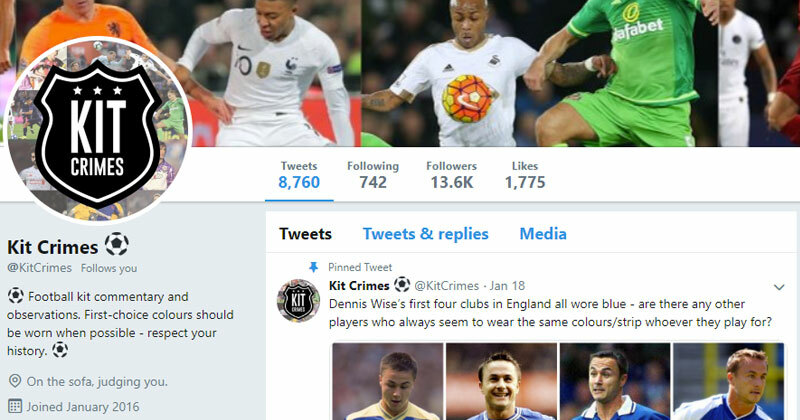 Kit Crimes is the bastion against the annoying modern day trend of wearing an away kit when there is no colour clash at all. You’ll also enjoy other wholesome rebukes against things like base layers and gambling sponsors. 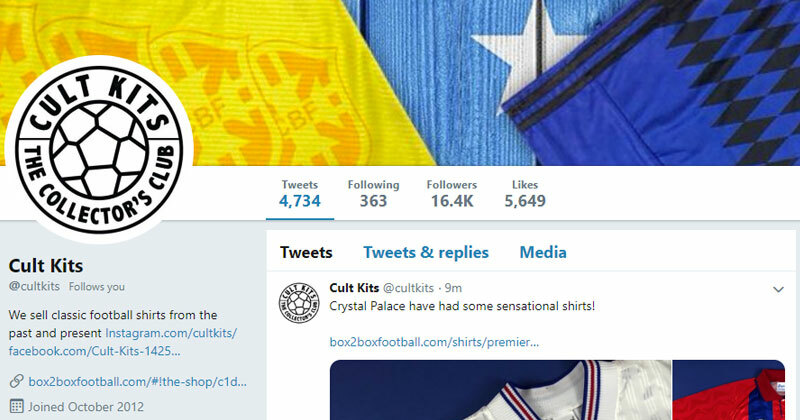 For more content from the Box2Box stable, check out Cult Kits. 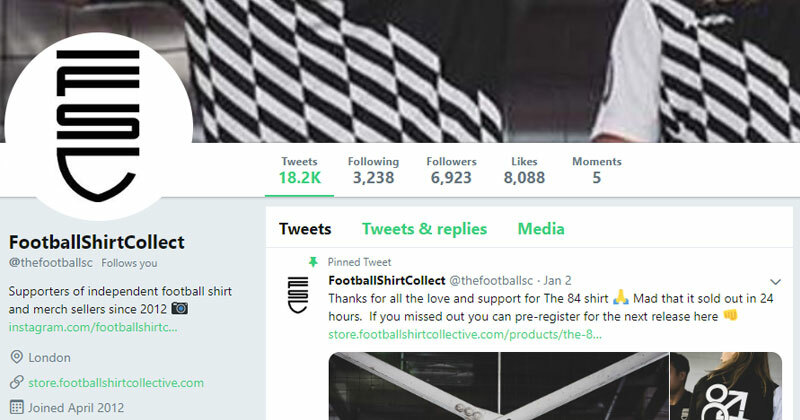 Last but not least is The Football Shirt Collective. Not only will you enjoy their content, they’re also champions of worthy charities like CALM (Campaign Against Living Miserably). 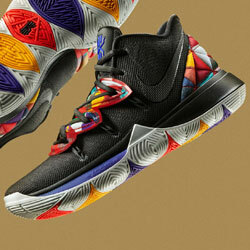 Show them some love. Tell me if I’ve missed anyone over on Twitter. I might do another article like this soon so all suggestions welcome!